Manchester City secured qualification to the Champions League last 16 with a game remaining following an entertaining 2-2 draw at Lyon on Tuesday. After missing several first-half chances, Maxwel Cornet finally got his goal 10 minutes into the second half, seeing a curling shot deflect off Oleksandr Zinchenko and in, but Aymeric Laporte levelled seven minutes later with a close-range header. Cornet then restored Lyon's lead late on (81) but Sergio Aguero leapt superbly to nod home a Riyad Mahrez corner two minutes later to secure City's passage to the last 16. The result means City can secure top spot in Group F if they avoid defeat against Hoffenheim at the Etihad on matchday six. The hosts had the better of an action-packed yet goalless first half, and should have been ahead through former Manchester United forward Memphis Depay, the ball coming off his studs after Cornet had laid it on a plate for him six yards out. And City were lucky to go into the break level as Cornet hit the woodwork late on, seeing his scissor-kick volley bounce up off the ground and come off Ederson's left-hand post. For City, there were three changes from the 4-0 win over West Ham; Zinchenko, Stones, Mahrez came in, replacing Otamendi, Delph and Gundogan. Just the one change for Lyon; Cornet came in for former Celtic striker Dembele. It was 1-0 on 55 minutes, however, as Cornet collected Depay's centre on the edge, cut onto his left foot, and saw a fine effort nick off Zinchenko and over Ederson into the far corner. City reacted well as Aguero's header forced Anthony Lopes into a fine save from point-blank range, but he could not keep out Laporte's header from similar range after David Silva had flicked on Raheem Sterling's free-kick cross. Leroy Sane then saw a shot from the left of the box almost creep over the line from Lopes' fumble, but it was 2-1 with nine minutes remaining as Cornet slotted under Ederson from the left of the box after being fed in the box by Depay again. City answered back yet again, however, as Aguero rose brilliantly above the Lyon defence to glance a Mahrez corner into the far post two minutes later. Shakhtar scored a dramatic late winner at Hoffenheim to win 3-2, meaning Lyon must now wait until matchday six to qualify for the last 16. After failing to get out of the group in their first two Champions League campaigns, Man City have reached the knockout stage in each of their last six participations in the competition. Lyon are unbeaten in their first five group stage games in the Champions League for the first time since 2008-09. Man City's Sergio Aguero has scored in each of his last six Champions League away appearances - only Cristiano Ronaldo (12) has embarked upon a longer such streak. Lyon's Maxwel Cornet has scored in both of his Champions League appearances versus Man City (3 goals). 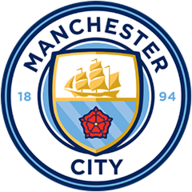 City now host Bournemouth on Saturday in the Premier League at 3pm, while their final Champions League group-stage clash comes at home to Hoffenheim on December 12. 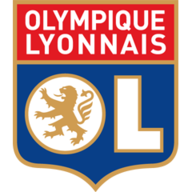 Lyon are at Lille on Saturday in Ligue 1, and their final Champions League group stage game is at Shakhtar, also on December 12.